United States (Conversation) – Every time the country is shaken by a tragic mass shooting and the loss of innocent lives, the same debates are repeated. Besides sending thoughts and prayers for the victims, a common theme – especially when the shooter is not a Muslim – is discussing warning signs of mental illness, and its role in the actions of the murderer. Mental illness is often scapegoated to deflect public outrage about access to assault rifles that can kill tens of people in a matter of minutes. During these heated debates, words such as “crazy,” “nuts” and “maniac” are used to describe the person who committed the act of violence, even before a medical diagnosis is released. In this debate, many questions arise that those discussing mental illness and gun violence may not even think about: What do we mean by mental illness? Which mental illnesses? What would be the policies to keep guns away from the potentially dangerous mentally ill? Most of these questions remain unanswered during these discussions. Specifically, no one suggests who will decide whether a patient with mental illness should not have access to firearms – a psychiatrist, an independent forensic psychiatrist, a committee of psychiatrists or a judge? How about those who do not seek psychiatric evaluation and treatment? Should a psychiatric examination be integrated into the background check process for each person who wants to purchase a gun? As severe mental illness can start at any point in life, will gun owners need periodic psychiatric assessment (like a vision exam for renewing a driver’s license)? Who will pay for the visits? As an academic psychiatrist, here’s my perspective on the complexities of this issue. The term “mental illness” covers a wide range of psychiatric conditions that are addressed and treated by mental health professionals. You may be surprised to know there are more than 200 diagnoses listed in the most recent version of Diagnostic Statistical Manual of Mental Disorders, which is released by the American Psychiatric Association. This includes conditions such as anxiety disorders like spider phobia, social phobia, social anxiety disorder, post-traumatic stress disorder, hair-picking, pathological gambling, schizophrenia, dementia, different forms of depression and personality disorders, such as antisocial personality disorder commonly known as psychopathy. 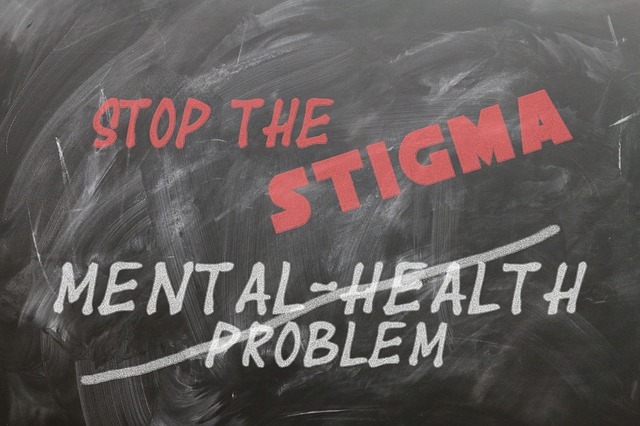 Mental illnesses are also very common: Nearly one in five people experience clinical depression during their lives; one in five experiences an anxiety disorder; one in 100 experience schizophrenia; and nearly 8 percent of the general population experience PTSD. People who have had higher exposure to trauma, violence and warfare, such as veterans, have higher rates of PTSD (up to 30 percent). Now, when one suggests that gun access should be restricted for people with mental illness , do they mean all of these conditions? Or just some, or some in defined circumstances? For example, should we remove guns from all veterans with PTSD, or all people with social anxiety, or those who habitually pick their skin? Needless to say that diagnosing these conditions mostly relies on the person’s report and the physician’s observation, and the ability to rely on their report is important. When can a person be potentially dangerous to others? Not all mental illness may be a risk of harm to others. In the majority of cases when a patient is involuntarily admitted to a psychiatric inpatient unit, it is not because the person is a risk to others. Rather, it is more often the case that the person is at risk of harming himself, as in the case of a depressed, suicidal patient. In psychiatric disorders, concerns about harm to others typically arise in acutely psychotic patients with paranoid delusions that convince them to harm others. This may happen in, but is not limited to schizophrenia, dementia, severe psychotic depression or psychotic bipolar illness. Substance use, which can increase the risk of crime or psychosis, can also lead to intentions to harm others. Other situations, when a person could be a risk of harm to others, are personality disorders with a high level of impulsivity or lack of remorse, such as antisocial personality disorder. But the reality is that most people with personality disorders do not seek treatment and are not known to mental health providers. It’s important to note that those with diagnosed serious mental illness, who are determined by a psychiatrist to be a serious risk of harm to themselves or others, already get admitted to acute or long-term inpatient care and are kept there until they are deemed not dangerous. Of course this happens only if they are brought in for psychiatric evaluation by others or law enforcement. Even among the 1 percent of the U.S. population with a diagnosis of schizophrenia, it is rare to find people who are a risk of harm to others or at risk of acting violently. Despite the widespread belief that a person with serious mental illness like bipolar disorder or schizophrenia can be dangerous, only 3 to 4 percent of all the violent acts committed in a given year in the U.S. are committed by people who have been diagnosed with commonly cited mental illness of schizophrenia, bipolar disorder or depression. Also, these conditions are rather strongly associated with increased risk of suicide, not homicide. Furthermore, risk of violence among severely mentally ill declines in the absence of substance use. In other words, prevention and treatment of substance use can decrease the risk of violence in this population. Another fact to consider is that the prevalence of severe mental illnesses, is relatively similar across different countries, including those with much lower rates of mass murder than the U.S. Finally, one has to keep in mind that the presence of a psychiatric diagnosis in a murderer, does not necessarily justify causality, as much as the weapon the person carries. In other words, because mental illness is so prevalent, a percentage of crimes are, statistically, going to be committed by people with a mental illness. I have previously discussed the negative impact of involving mental illness in politics. Every time mental illness is linked to acts of violence by the media or politicians, the highly charged emotions of the moment can impact those with mental illness and their families. When “mental illness” is so vaguely addressed in gun debates, those with a mental illness without an increased risk of violence or impairment in judgment (such as anxiety or phobia) may avoid seeking treatment. I have often had patients who were worried that their diagnosis of depression or anxiety, although well-treated, might be used against them in court regarding child custody. I have repeatedly had to explain to them that their disorder does not provide grounds for justification of impaired judgment. I personally believe it is common sense to limit everyone’s access to weapons with the potential of killing tens of people in a matter of minutes. Choosing who may or may not have access to them based on mental illness is, as I’ve outlined, very hard indeed. This report prepared by Arash Javanbakht, Assistant Professor of Psychiatry, Wayne State University for The Conversation.